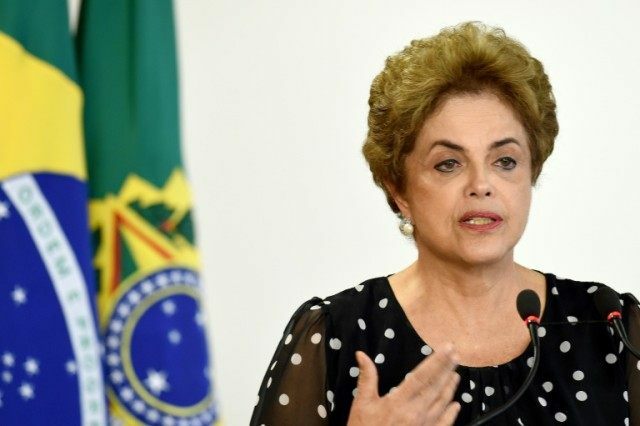 Brasília (AFP) – Brazil’s top government lawyer sought an injunction at the Supreme Court on Thursday to halt what he called the “kafkaesque” efforts to impeach President Dilma Rousseff ahead of a crucial vote this weekend. “Evidence unrelated to the case has been included in the process, such as matters related to President Dilma (Rousseff)’s previous term,” he said. The appeal was lodged as Rousseff entered the final days of an increasingly uphill battle to amass enough support to defeat a vote authorizing impeachment in the lower house of Congress on Sunday.